We’ll finish the year by looking at a few tricky words – they look similar in the two languages but don’t necessarily have identical meanings. Etichetta means label as in ti piace l’etichetta di questa bottiglia? = do you like the label of this bottle? 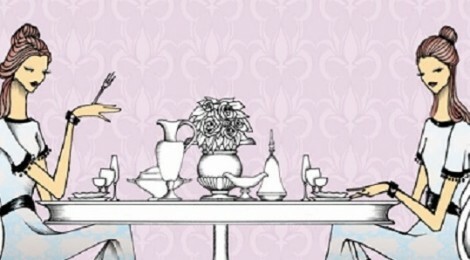 but it also means good manners which is rendered in English by using the French word etiquette. Another Italian word for etiquette is galateo. The English verb to apply can be translated as far domanda/richiesta oppure applicare, usare/valersi di. Look at these contexts: you have to apply a light layer of varnish = bisogna/si deve applicare uno strato leggero di vernice; they have applied for many jobs = hanno fatto molte domande di lavoro; these rules only apply to Europeans = queste regole si applicano solo agli europei; he applied good judgment in solving the problem = ha usato buon senso nel risolvere il problema; while visiting Switzerland she was able to apply all her linguistic skills = nel visitare la Svizzera ha potuto valersi di tutte le sue capacità linguistiche. The English to affirm can be translated as affermare/asserire/dichiarare but also as confermare in a legal sense. Check these examples: il ministro ha affermato/dichiarato che i limiti di tempo erano scaduti = the minister stated that the deadline had passed; l’erede ha confermato di essere il nipote del defunto = the heir affirmed he was the grandson/nephew of the deceased.